Startin’ up a new venture? MSK’s Beach Bootcamp will help you ride the wave. 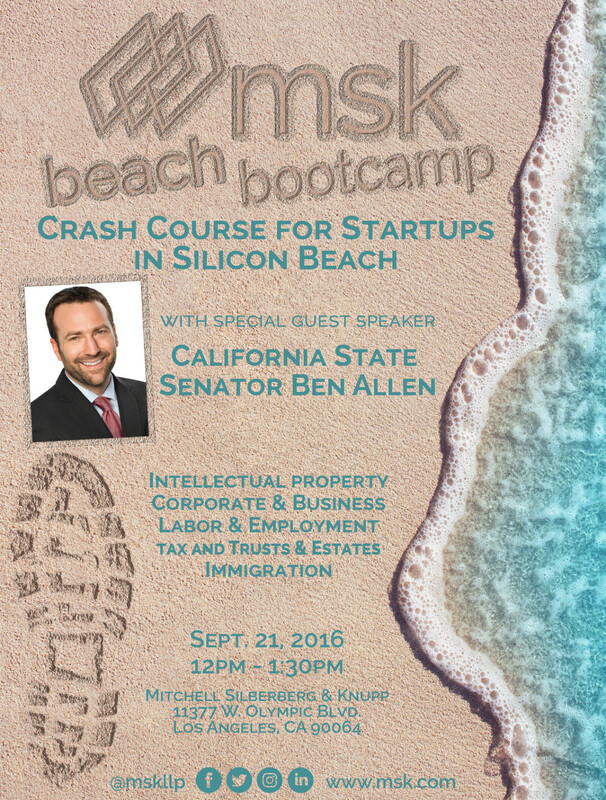 This crash course for startups in Silicon Beach will prepare you with the tools and tips you need for your startup, covering intellectual property, labor & employment, corporate formation & financing, immigration, tax and trusts & estates. You’ll be covered when you’re Start ‘N Knupp with MSK! Join Us! Register by clicking the invitation below.